Soft, geometrically designed conical tip to ensure easy insertion and prevent catheter related trauma. 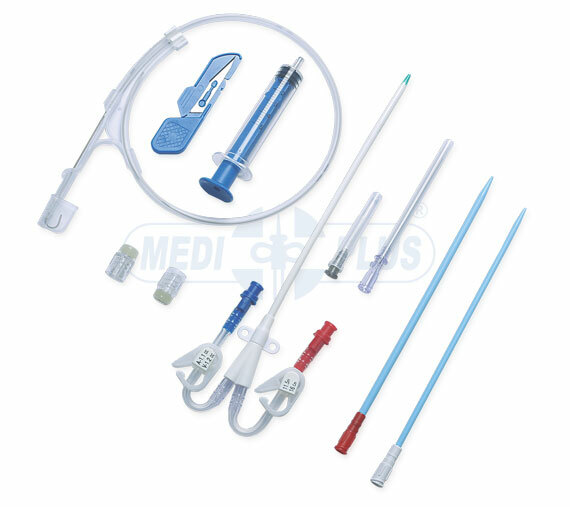 Hemodialysis catheter are single/double/multiple lumen catheter that provides temporary vascular access for hemodialysis until a permanent acress is available or until another type of dialysis therapy is substituted. 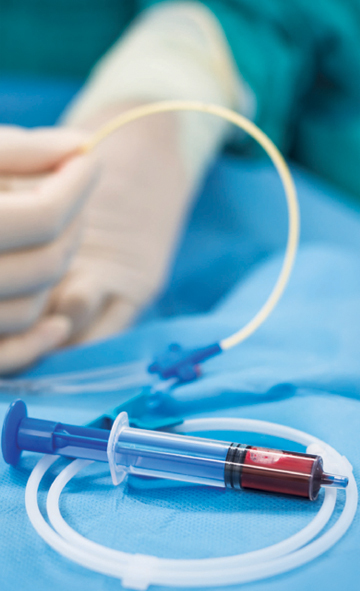 He multiple lumen catheter contains two large bore lumens that are connected to the dialysis machine to form a complete circuit for the removal and return of the patient's blood during treatment. Clear silicon lumen extensions for enhanced visibility and safety. Sterile / Disposable / Individually Tray Packed.